It’s no secret that summer is the busiest time of the year for weddings, and now that we are in the off-season for weddings, it’s time for newly engaged couples to start planning for their upcoming nuptials. From finding the perfect wedding dress and scouring the city for a beautiful venue to taste tests with potential vendors, there are numerous things that need to be planned to make sure that your wedding day is one that you will never forget. 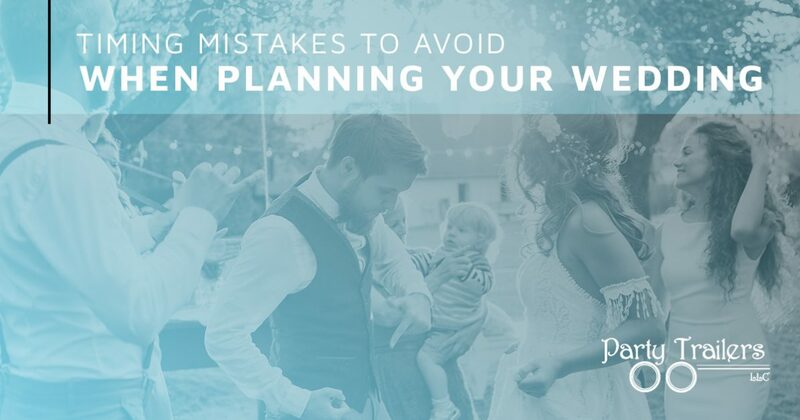 In today’s post, we will discuss a few timing mistakes that people make when planning their weddings to help you avoid any problems with your preparations. One aspect of your wedding planning that you need to consider is entertainment. At Party Trailers, we offer expert event entertainment that is sure to keep you and your guests happy. Our wedding packages include a DJ, photo booth, karaoke, virtual reality, and so much more! We have everything you need to help you host a reception that everyone will remember for years to come. Browse our website to see what our event entertainment has to offer and give us a call to make a reservation today! Before you begin making plans for the food, venue, and event entertainment, you first need to set a budget for your wedding. Your budget will determine how much you can spend on each part of your ceremony and reception, therefore, you need to have an idea of how much you are willing to spend. 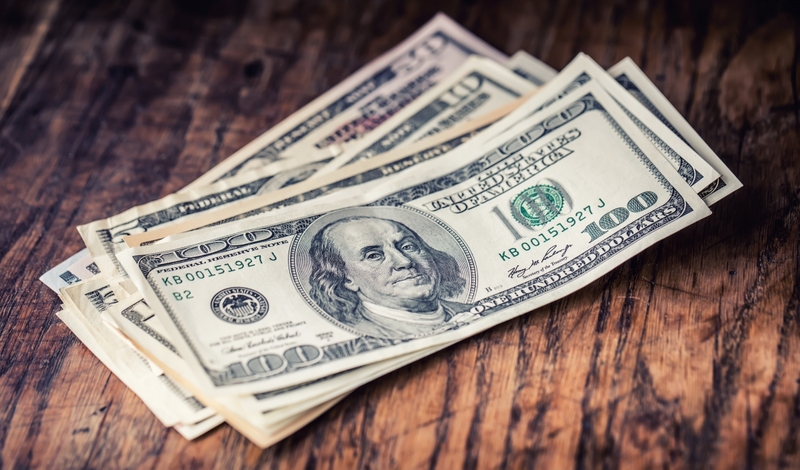 Each different aspect will use a percentage of your budget, and there are tools online that can help you determine how much to set aside for each. It’s a good idea to determine how much you want to spend as a whole and then break your total budget into parts. Once you’ve determined how much you want to spend on your wedding, you should focus on who you want to invite to celebrate your special day with you and your soon-to-be spouse. Many people underestimate how much the guest list will influence the other aspects of your wedding. However, the number of people you want to invite will influence the size of your venue, the cost per plate for catering, and a number of other elements. For this reason, you want to have a clear idea of who you want to invite to your wedding before you make any other decisions. Vendors are a key component of your wedding reception. Food, music, and entertainment are all supplied by important vendors, therefore you need to be sure that you secure the companies you want well in advance, especially if you’re planning on having your wedding during the busiest time of the year. In some cases, waiting until six months before your wedding to book important vendors may be too long, and you may have to find someone else. While waiting too long can cause you to have to rethink some of your vendors, reaching out too early can make you seem desperate. It’s good to have a plan and know exactly who and what you want for your wedding, but you also have to have a reasonable timeline in mind. For example, some couples are determined to get one particular vendor, so they call to book them for their wedding three years in advance. Additionally, there are some “brides” who want to work with a certain planner, so they call to schedule an appointment before they are even engaged! Need Great Event Entertainment You Can Afford? When you begin planning your wedding, there are many vendors that you will need to reserve to ensure that your big day goes off without a hitch. That being said, if you’re looking for affordable event entertainment that all of your guests will love, you can’t go wrong with Party Trailers. We offer unparalleled services in one convenient trailer, so if you’re ready to book the entertainment for your wedding, contact Party Trailers to reserve your date today!